Album containing approx. 24 albumen prints, various sizes, brownish/purple leather, clasp, g.e., 10½ x 12½ in. 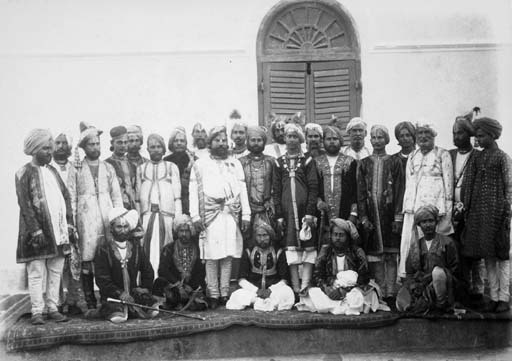 Single and group portraits including The Maharajas of Rewa and Benares, and the Rewa State Cavalry.